She's Fantastic: Brazilian Toy Arts BATGIRL! Brazil seems to have the best fast-food exclusives. I'm currently hunting down at least three different ones on MercadoLivre.. although "ebay-prices" seem to be a phenomenon on all sorts of commerce sites, not limited to ebay itself... *sigh. 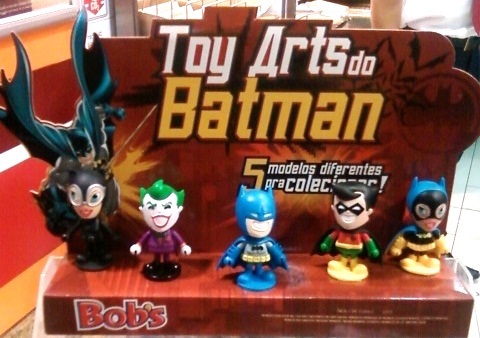 * This current line of five Batman figure is a follow-up to 2010's Justice League (Liga da Justica) which was a rather obvious knock-off of Hot Toys' Cosbabys. This Batman is a distinct departure from the Cosbaby-style, but there are still more similarities than differences. These figures are unarticulated 2.75" PVC figures with non-removable bases. They are cheaply constructed, but don't necessarily look it. 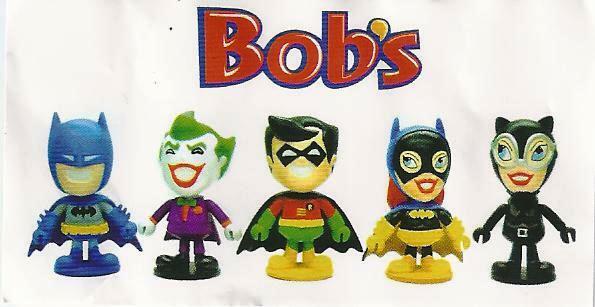 Plus they make a great addition to any super-deformed or vinyl hero collection. I'm eagerly waiting to get my hands on a Catwoman. I only wish they made cool fast food exclusives here in the USA. It's been way too long since I've had a reason to go to Burger King. Let's check out Batgirl below! 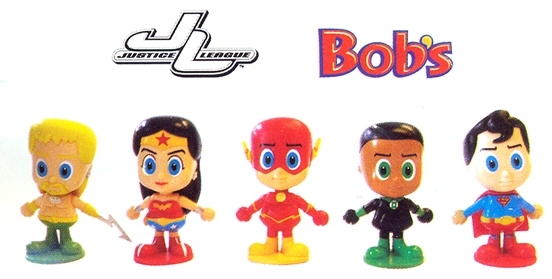 And here is the 2010 Justice League set. Note how "Cosbaby" the faces are.